I brought back a bag of Aranellikka / Kirunellikayi with me on my return trip from my native place. My mind went back to my childhood days as I ran my fingers over an old scar on my forehead. Those were the days when we siblings went foraging in our garden for the lovely fruits, berries and all that was edible in our sprawling garden. My vivacious kid brother who was only five years old then was a bundle of mischief. 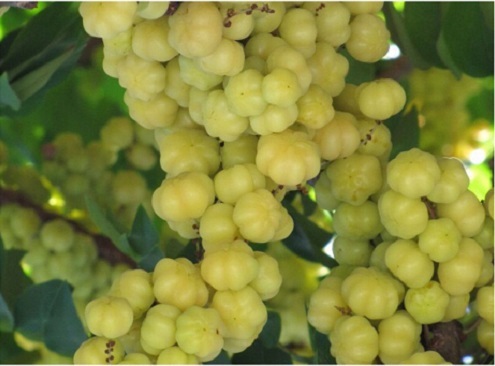 The impatient brat knew that a mere shake of the slender tree trunk would bring down a shower of Star Gooseberries. But to show off his expertise in stone pelting he picked up one and aimed at the tree to bring down the luscious berries that instant. But unluckily the stone landed on my forehead and what followed was a big hullabaloo! It was quite a task to 'save' my dear brother from my mother's spanks as I carried him and ran all over the garden! 1. Remove the Aranellikka/Kirunellikayi from the stalk. 2. Wash them, spread them out on a cloth and dry them thoroughly. 3. Heat one tablespoon of oil in a kadai, add the Aranellikka/Kirunellikayi and stir in the salt. 4. The berries will release a lot of water as they get cooked. 5. 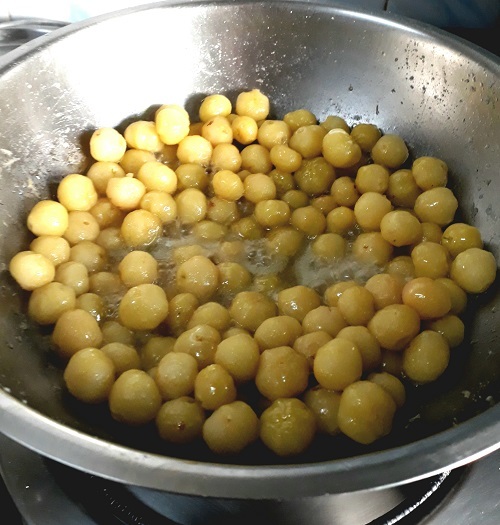 Gently stir and cook till half of the water evaporates and switch off flame. 6. 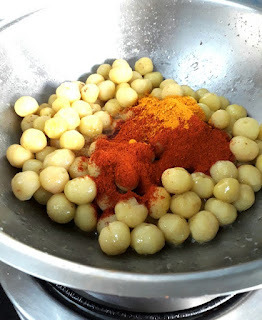 Heap chilly powder and turmeric powder on top of the sauteed berries. 7. 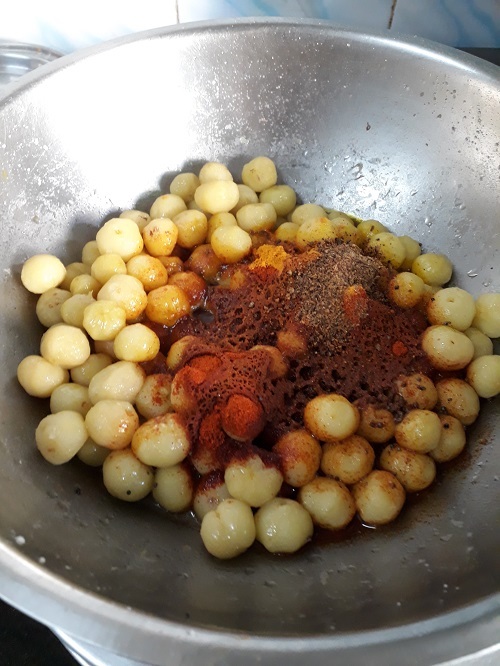 Heat the remaining oil in a seasoning ladle and splutter the mustard seeds, add asafoetida and pour the seasoning all over the spice powders. 8. Add the dry roasted and powdered fenugreek powder and stir well. 9. Allow the flavoursome Aranellikka Ooruga/Kirunellikayi Uppinakayee to cool down completely. 10. 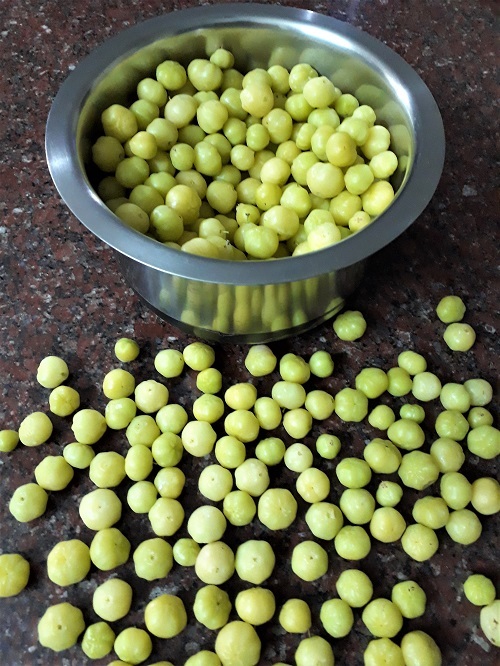 Store the Star Gooseberry Pickle in a clean dry jar. Relish the Aranellikka Ooruga/Kirunellikayi Uppinakayee with curd rice. My grand daughter loves to pop a pickled Aranellikka/Kirunellikayi into her mouth now and then! When I stepped out into the backyard of our ancestral home during my recent visit, I was stunned by the beauty of the heavily laden Star Gooseberry tree. Adorned with an abundance, it virtually rained golden berries forming a golden carpet on the ground as the gentle breeze swept by. It brought back pleasant memories of my childhood when my mother prepared my favourite Aranellikka Murabba using the Star Gooseberries that I meticulously gathered from our garden. 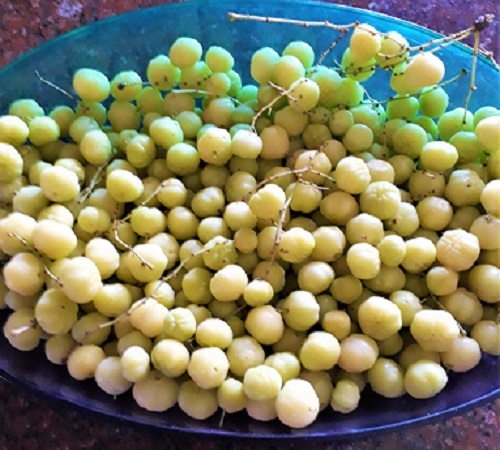 I brought back a bagful of Aranellikka / Kirunellikayi on my return trip to Bangalore. 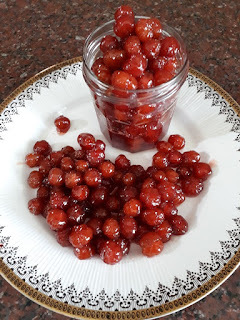 Here is how I prepared Aranellikka / Kirunellikayi Murabba with one portion of the berries. I saved the other portion to make pickle. 1. 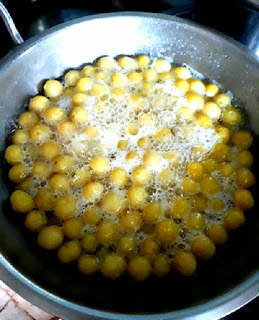 Remove Aranellikka / Kirunellikayi from the stalk and wash well. 2. Add sugar to the measured water and set it to boil in a heavy bottomed pan. 3. 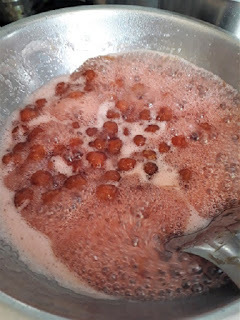 When the sugar dissolves add the washed Aranellikka / Kirunellikayi and continue to cook. 4. Keep stirring now and then till the syrup turns pink in colour. 5. Cook until the syrup becomes sticky and starts foaming. 6. 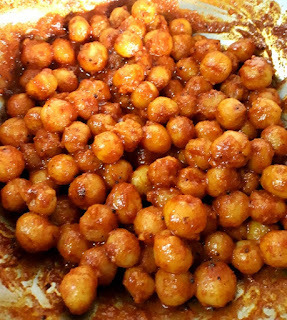 Remove from stove and allow to cool thoroughly. 7. 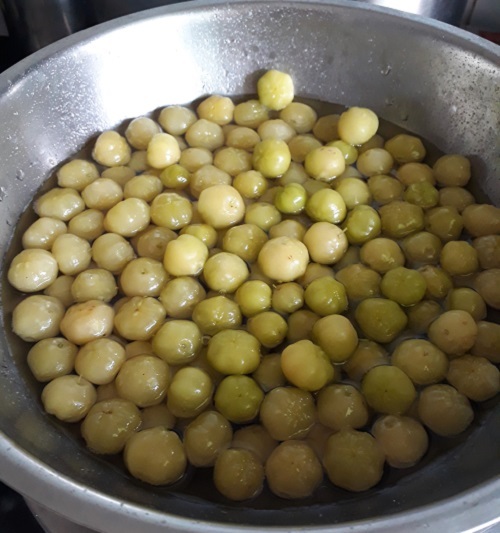 Store the syrup coated Star Gooseberries in a clean and dry glass jar. Pop a Star Gooseberry Murabba into your mouth when ever you have a craving for a sweet-sour treat. If you wish your Murabba to swim in syrup similar to jamoons you may increase the quantity of sugar and water in the recipe. 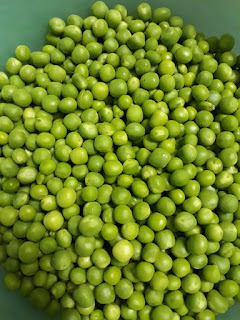 Green Peas is always considered a delicacy. When there is a dinner or lunch party at home we make sure that at least one green peas dish is included in the menu. 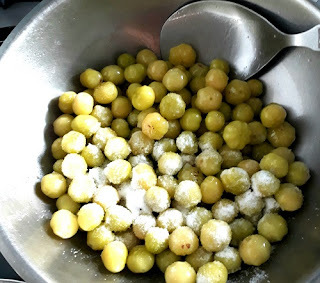 Be it Bisibelebath or Pulao, Green Peas blend very well with any and every rice dish.They lend a fresh and colourful touch to cabbage, carrot or even a simple beans Porial. 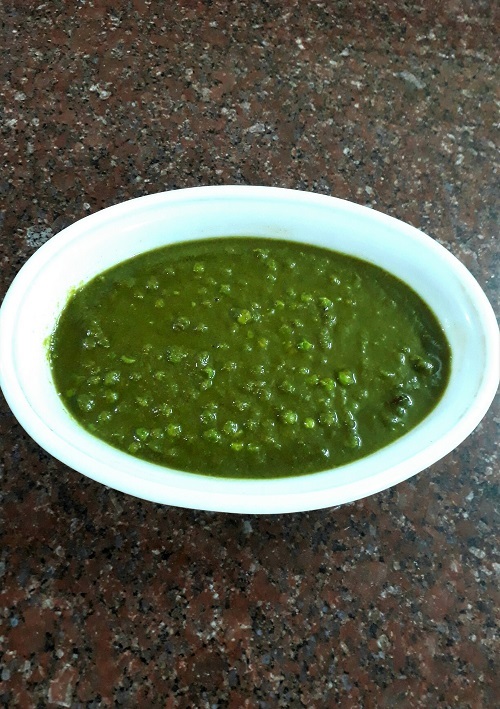 Peas and mixed vegetable koottu is utterly delicious.With the addition of Peas the simple Rava Upma and Aval Upma acquire a special status. 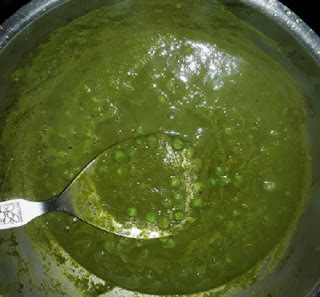 My sister often makes a tasty and creamy soup using Green Peas.Who does not enjoy peas in masala gravies like Aloo Matar, Gobi Matar, and the most popular Matar Paneer? The gravies for all the aforesaid masalas are red in colour as red chllies, chilly powder and tomatoes are used in the preparation. These masalas can be termed as Green Peas in Red Gravy. 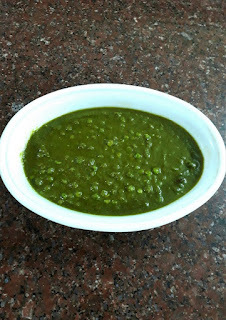 Green Peas can also be served in a flavoursome Green Gravy by using herbs and green chillies which is pleasing not only to the eye but also to the palate. 1. 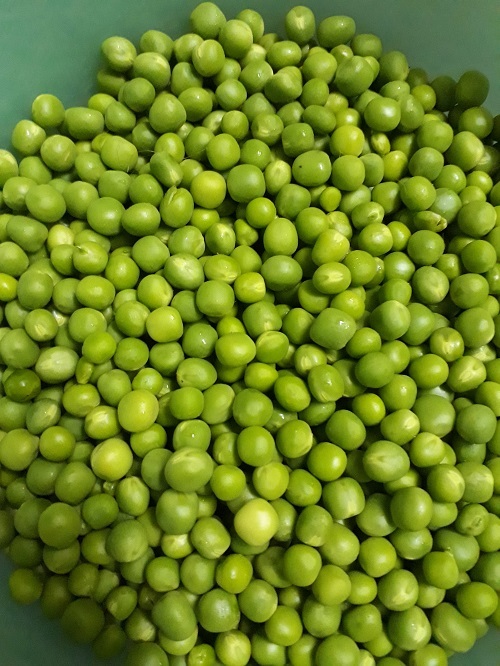 Boil green peas in enough water adding a pinch of salt and keep aside along with the water used for cooking. 2. Wash and chop the herbs and discard thick fibrous stems. 3. 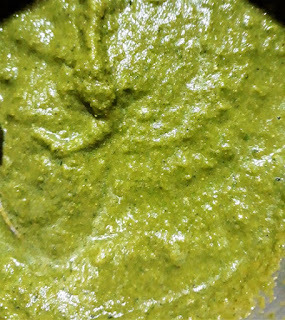 Grind together the chopped coriander, mint, onion, ginger, green chillies, cumin seeds and cashew nuts together into a fine paste adding little water if necessary. 4. Heat oil in a pan and splutter cloves, cardamom and cinnamon. 5. 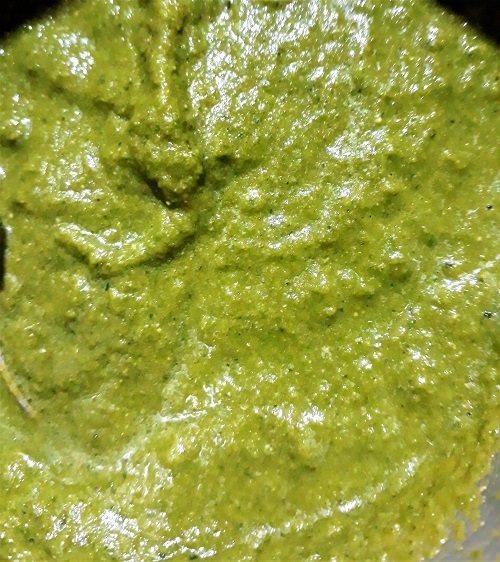 Add the finely ground green masala paste and saute till it emanates a very pleasant aroma and till the oil separates. Keep stirring on low flame so that the paste does not turn brown. 6. Remove 2 tbsps of boiled peas and keep aside, and pour the remaining peas along with the water into the green masala. 7. 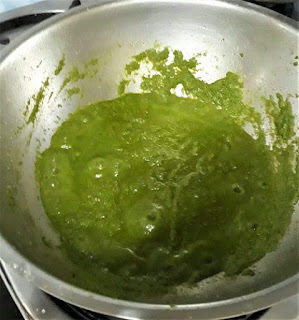 Blend the 2 tbsps of cooked peas into a fine paste and add it to the gravy. 8. Add garam masala and salt and cook till the Green Peas Green Masala thickens to the desired consistency. 9. Switch off flame and mix in the lemon juice if desired. 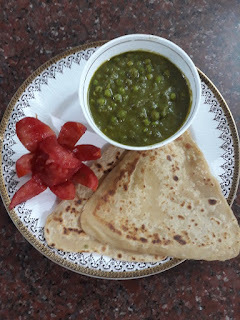 Enjoy the flavoursome Green Peas Green Masala with rotis or plain Basmati rice.